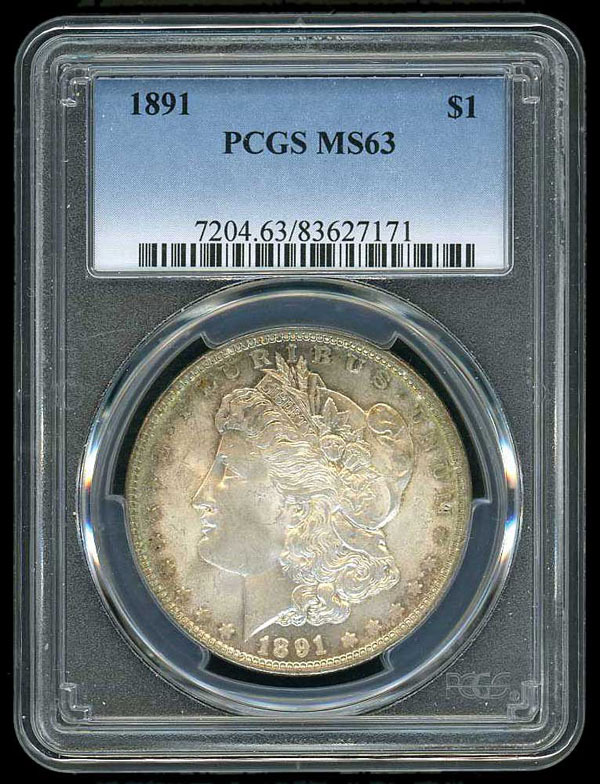 Coins; U.S., Morgan Dollar, 1891-P Silver Dollar, PCGS graded Mint State 63. 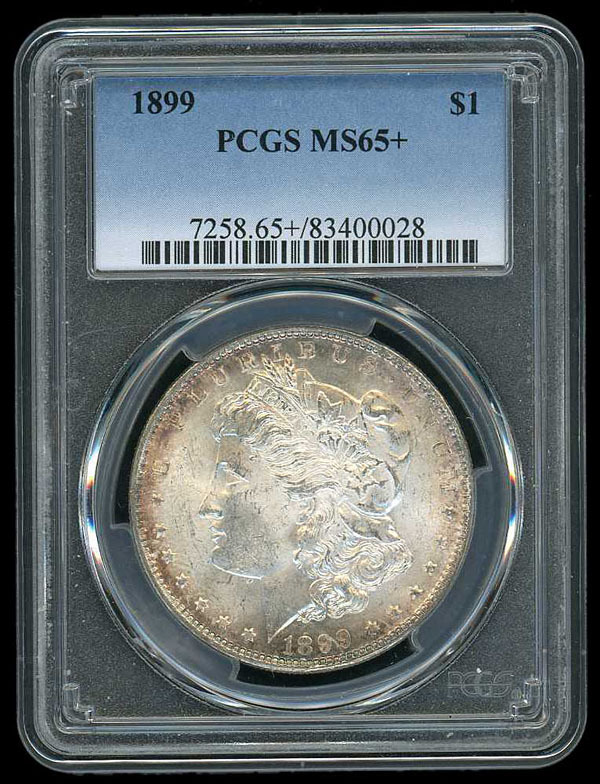 Coins; U.S., Morgan Dollar, 1899-P Silver Dollar, PCGS graded Mint State 65+. Coins; U.S., Morgan Dollar, Silver Dollars Group, 20 from 1879 to 1904, common dates, mostly XF or better some with nice toning. Coins; U.S., Morgan Dollar, 6 Better Dollars, 1878 7TF, AU, 1888-S XF, 1892-P (2 XF-AU), 1903-P (2 XF-Au) some with nice toning. Coins; U.S., Collections, 5 Graded, 1886 Silver dollar NGC MS-63, 1881-S Silver dollar NCI MS-64, 1896-P Silver dollar ANACS MS-63, 1924 Peace dollar, NGC Ms-64, and 1956 Franklin half-dollar NGC MS-66. Currency; U.S., Collections, Federal Reserve Bank Notes Balance of Estate, Including 2 $5 North Africa Emergency notes (VF), 2 1934 $20 Federal Reserve notes, 1961 proof sets and various modern coins and medals.